Found 2 file extension associations related to YanCEyDesktop and 1 file format developed specifically for use with YanCEyDesktop. 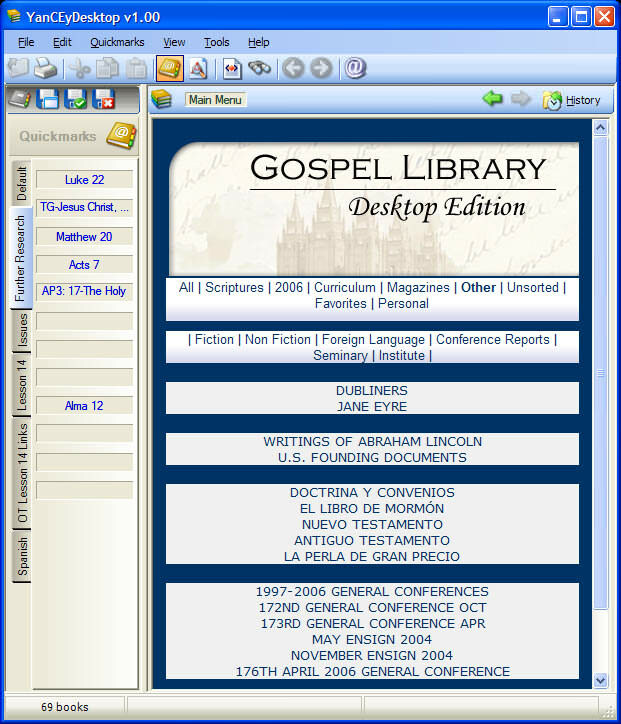 YanceyDesktop (YWD) is a desktop reader for YanCEyWare eBooks. YWD is compatible with the YanCEyWare Reader for the Pocket PC (YwR) and shares .ybk (eBook) files, libraries, menus, annotations, markup and bookmarks with the PPC reader. YanceyDesktop supports printing, copy/paste to other applications, multiple quickmark sets, image viewing and all the annotation/markup features of the PPC reader. If you need more information please contact the developers of YanCEyDesktop (D Remington), or check out their product website.